Today’s authoring tools make it easier than ever to customize how the menu looks and where it’s placed in the course player. But there will be times when designers want to move beyond the default menu options and design their own course menu. While DIY menus take longer to design and implement, they’re worth the time if they help learners get more from their training. And that’s what this week’s challenge is all about. 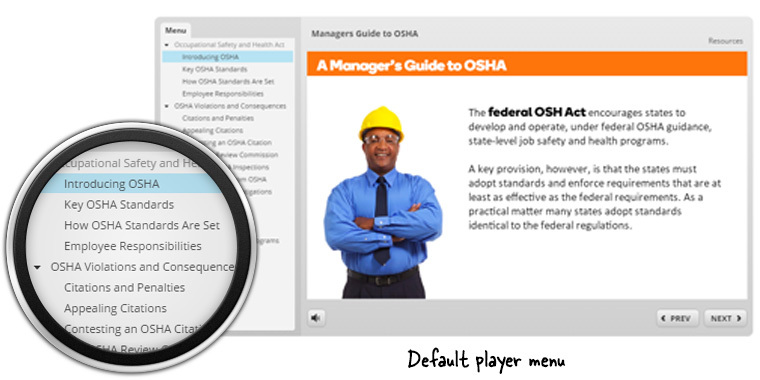 Storyline’s menu options on the Player Properties window allow you to control how the player menu appears in your published course. This is a classic table of contents–style menu that provides all the functionality most courses need. When you want even more control over your menu design’s fonts, colors, graphics, bookmarking, and types of menu information, you’ll need to create everything yourself. The good news is: tools like Storyline make this really easy! 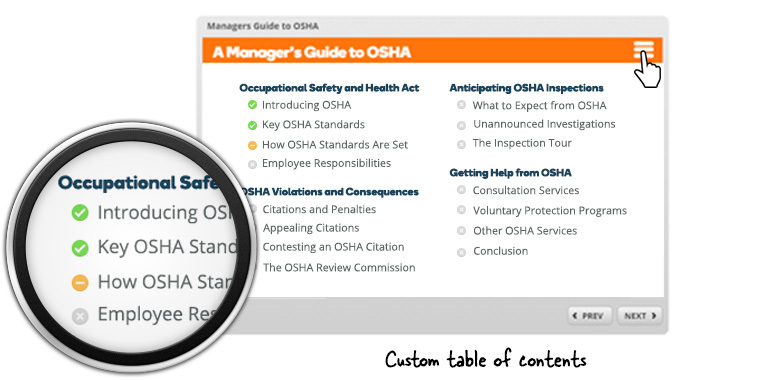 This week, your challenge is to share an example of a custom table of contents menu. What other types of information can you include in your TOC that go beyond learner progress? You don’t need to build out a real project this week. 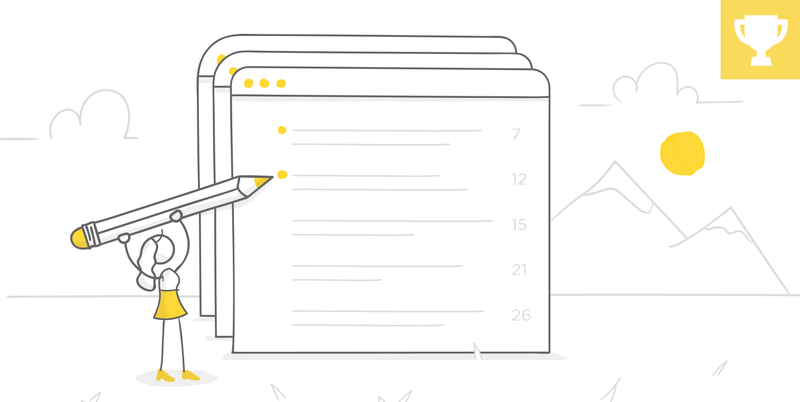 Use placeholder slides and content to allow more time for your custom table of contents menu. 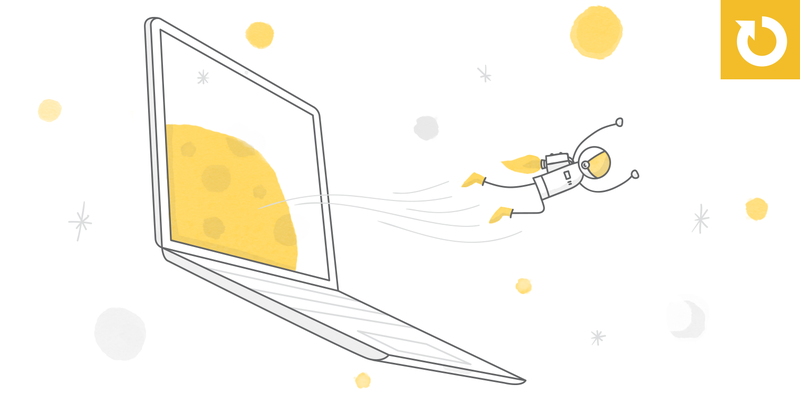 Looking forward to seeing what you bring to the table this week, E-Learning Heroes! Clean and simple. Nice work, Nancy! The layout looks so clean and clear. Love it! Hi Stephanie, I liked the performance meter style of evaluation. But I was able to turn the meter left or right and rig my performance. Is it intentional? I really like this Stephanie. How did you do the glow on the next button? I am going to try this, it really looks good. I have attempted a flashing effect on some of my stuff but your version is so much better. Thanks for sharing, Stephanie. Can't wait to play with the concept! I'm not exactly sure why this works but it's amazingly simple and looks really good! Thanks for sharing! Nice honey comb design, Pooja And the healthy habits are super important! Thanks, Joanna! And you dropped a serious cuteness overload with those kitties! Clean design moreso! Thanks David! I'm still lurking with good intentions! Good to hear, Charles! You've shared some of my favorite examples over the years. That embedded video looks like the Dinosaur CD-ROM that came with a lot of Windows computers back in the mid-late 90's. 3D interactive models and I think it had some games. Am I remembering right? Hello David, Was my entry below to late to be included? Welcome to the challenges, Eric! I really like the design theme you came up with for your TOC/menu. Nicely done. I updated the recap to include your example: https://community.articulate.com/articles/table-of-contents-design-examples-in-elearning#EricQuarrell Hope to see you around future challenges. These are all so creative! I've enjoyed looking through them all. I have a question for an admin (or anyone who can help)...how does one submit a challenge? I know it says to post a link in the comments, but how do you upload to create a link? Is this something only available for 360? Or do you upload it to an outside source? I'm just a little confused. I've looked through some posts for a hint but have come up short. If I'm just missing something, please let me know. Thanks in advance! I signed up for http://s3.amazonaws.com account (which is free until a certain amount of storage is used) and downloaded Cloudberry Lab for Amazon. Some people have their own website, or they use Articulate 360. I hope that helps. And how does one use Articulate 360 to post here? Welcome to the challenges, Evangelos! It was great meeting you last week in Utrecht. I added your cool menu example to the recap: https://community.articulate.com/articles/table-of-contents-design-examples-in-elearning#EvangelosNeochoritis Hope to see you in future challenges! Thank you David! It was great meeting you too and attending your workshop. Great stimulant for motivation and ideas! Challenge #184 on the way.